Available at Best Buy, you can grab a Philips Hue white and color ambiance starter kit, plus a Google Home, all for just $198. Getting these products separately would typically run about $328, so this bundle deal is saving you $130. That ain’t bad at all. 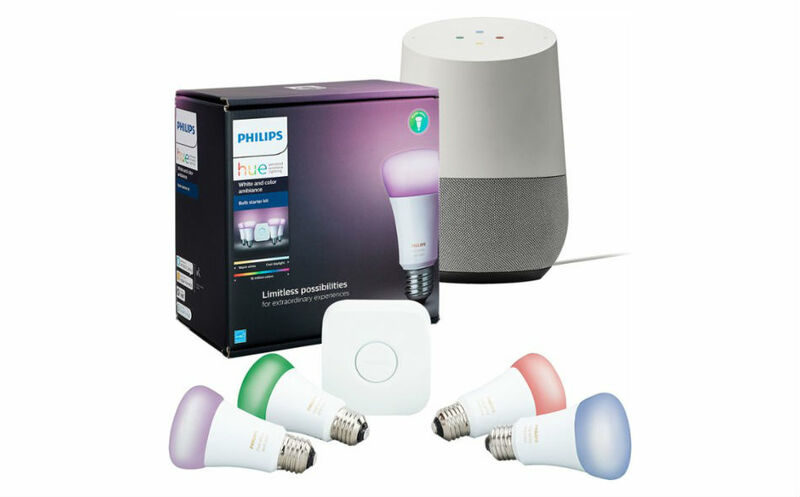 If you couldn’t already guess, owners can control Philips Hue lights via Google Home with Google Assistant, so the pairing of these two products as a bundle is perfect for those looking to up their smart home game. We aren’t sure how long this bundle deal will last, so get on it if this is the type of home upgrade you’ve been looking for.